Totalcontent | 2016 Royal Mail Year Book — ‘Letters Through Time’. 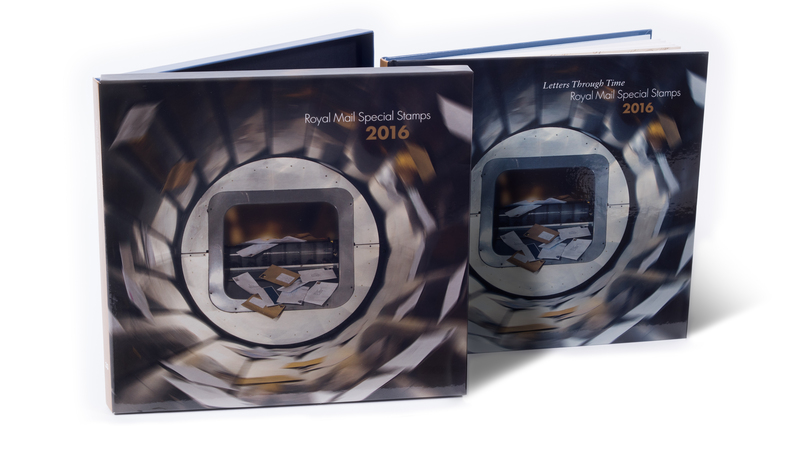 Home » blog » 2016 Royal Mail Year Book — ‘Letters Through Time’. I’ve been working on the Royal Mail Year Book for over 20 years now. In case you’re unfamiliar with this excellent annual, it’s a handsome, slip-cased volume that reveals the ‘stories behind the stamps’. Each year, different designers are challenged to create a suitable overall theme, and for 2016, Ian Chilvers of Atelier Works hit upon ‘Letters Through Time’. Stamp issues covered the usual wide variety of subjects, from Shakespeare and Shackleton, to Pink Floyd and Beatrix Potter. For me, this year’s Royal Mail Year Book was a particular treat. Not only was I asked to interview all the stamp designers and write the introductory text, but I got my hands on two chapters as well. The first (actually the last, as it appeared in the book) was the Christmas chapter, which covered the tradition of children writing letters to Santa. The subject matter was fascinating in itself — did you know that kids have been penning festive messages to St Nicholas since the 13th century? But the icing on the Christmas cake was having one of my very own childhood letters to the big man published in the chapter. Coincidentally, my sister had discovered this yellowing piece of paper in her loft a couple of months earlier, so the timing was perfect. 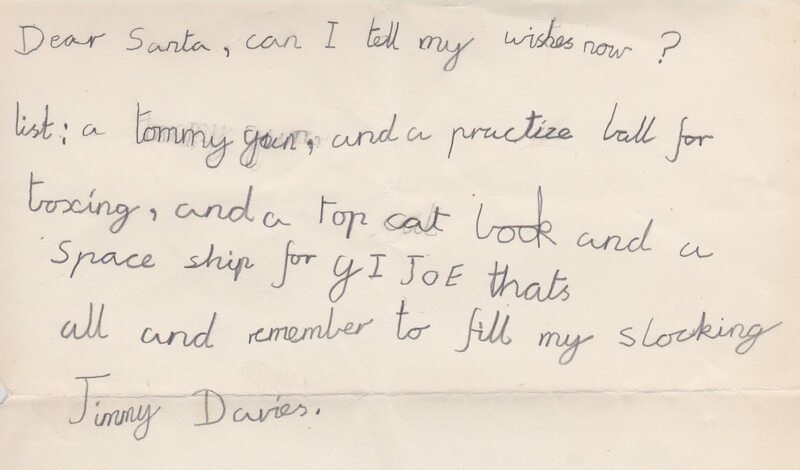 I was amused by the copious wish list, penchant for weaponry, early grasp of punctuation, and the rather presumptuous sign off, which read: “And remember to fill my stocking”. 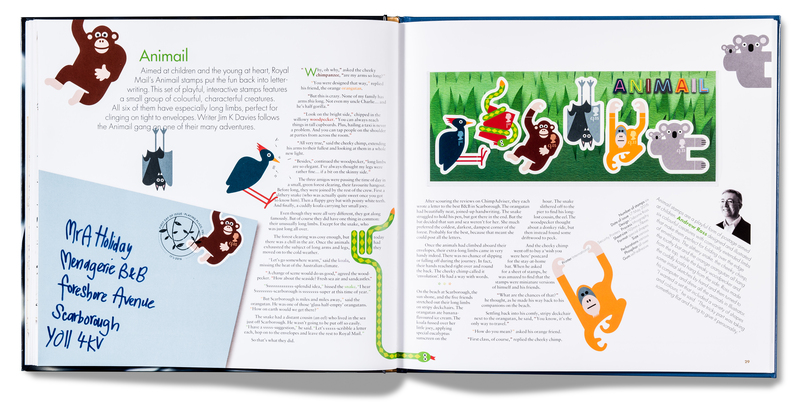 The other chapter covered the new Animail stamps, featuring a cast of six long-limbed animal characters designed by Andrew Ross of Osborne Ross. Cute and cartoonish, they wrap around the edges of envelopes, making the act of sending a letter fun and interactive. To celebrate the launch of the Animail animals, I wrote an original children’s story, a tale about their trip to the seaside. Of course, the gang travel first class — using envelopes as a novel mode of transport. You can read both my chapters by clicking on the relevant images here, which will bring up a hi-res version. 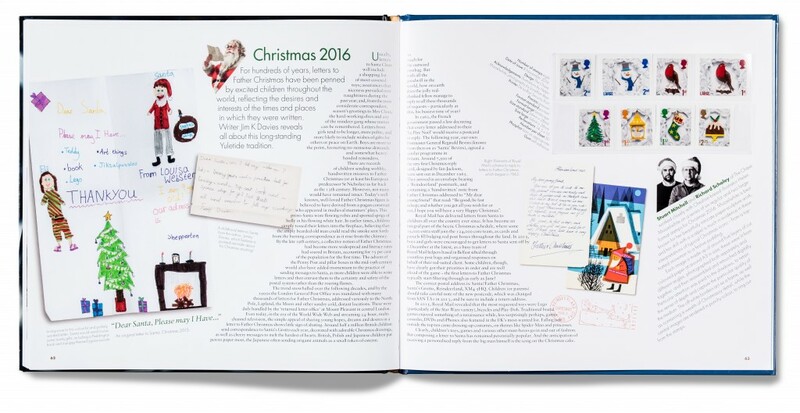 Or, of course, you could splash out and buy your very own 2016 Year Book, complete with every pictorial British stamp issued over the past year, from Royal Mail’s online shop.